It was a blustery weekend afternoon in the summer of 2002. Sunil Duggal had found time from his job of handling the personal care business of Dabur to oversee a long overdue paint job at his South Delhi home. He was in a rush, as the going was not too good for Dabur, even though the personal care division was doing well. Duggal knew his hands would be full on Monday. In the midst of this chaos and taking care of his two dogs, Rio and Sprite - canines are never well-disposed to the smell of grease - Duggal heard the phone ring. It was the Chairman, the soft-spoken Ashok C Burman, at the other end. He wanted to meet Duggal immediately. Duggal politely tried to refuse. "Just come as you are. No need to dress up," Burman insisted. At Burman's South Delhi home, the discussion lasted just 10 minutes. The patriarch asked Duggal, who had joined the company in 1995, about the problems it was facing and what he thought should be the road ahead. The reason for Burman's anxiety was clear. The fast moving consumer goods industry was seeing unprecedented competition. 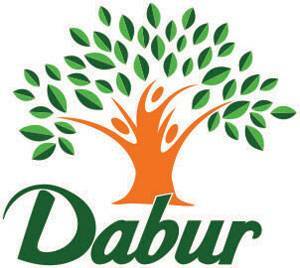 Though demand was rising, Dabur, in spite of its strong brand name, was struggling to grow. The promoters, in a bold move, had given way to a professional management in 1998, but this had failed to deliver the desired results. Sales had declined and Dabur, for the first time in its history, reported a drop in profits. Mid-way through Duggal's submission, Burman, who was looking for a CEO, had already made up his mind. "That's all I wanted to know," Burman said. "Now, let's cut out the business and have a drink." The next day, members of the promoter family landed at the company's corporate office in Sahibabad near Delhi. It was a building they had relinquished two years ago while handing over management control to a professional CEO. Over the next six months, the family assessed the situation, took remedial measures and started the transition, this time with an insider - Duggal - at the helm. For Duggal, this came at the right time. "I don't think I was ready for the role in the late 90s when the post was introduced," he says. "But I got the sales and marketing profile then, the second most important role after the CEO. It allowed me to transition to top in a calibrated way." "When the chairman called me out of the blue, he asked me two things - whether I can do a better job and if I was ready for the role. I said emphatically yes to both. Three years ago, I would have needed more time, but in 2002 I was ready," he says. The story of Dabur began with a small endeavour by Dr. SK Burman (1856-1906), a physician in Bengal. His mission was to provide effective and affordable cure for ordinary people in far-flung villages. He undertook the task of preparing natural cures for the killer diseases of those days like cholera, malaria and plague. Soon, he came to be known as the trusted 'Daktar' or Doctor. And that is how his venture Dabur got its name - derived from the Devanagri rendition of Daktar Burman. The slow climb up the corporate ladder had helped Duggal get a broader view of the company. He also knew the gaps in the various departments. But many insiders were not prepared for the change. "The older work force was generally happy as I was from the cadre and not an outsider," he says. "At the same time, some people were not happy. So, a large number of people left the company or were asked to go. That's what the company needed - a bit of surgery in terms of recreating the management," he says. The BITS-Pilani and IIM-Calcutta alumnus set about putting in place his team. The curse of the incumbent - in which consumers like what a long-trusted company is offering but are lured by new things - was real. "I brought in a lot of changes in the top management. I brought in people who had passion and were committed to doing something bigger than what they had been doing in their earlier jobs," he says. "I found people at the next level, and not at the top, who were hungry for growth. These were the people who made the difference. Some of them are still with us while some have retired," he says. In the process, he earned the moniker of "Employee's CEO". Scores of employees who have grown with him continue to resist poaching attempts by rival companies. "I have worked directly under him for seven-eight years. What is remarkable about him is that he does not meddle into the affairs of colleagues. The level of freedom he gives to each employee is rare," says Krishan Chutani, Executive Director, Consumer Care Business at Dabur. "Even when you disagree with him, he does not take it to heart, does not lose his temper. He challenges you to prove him wrong." Changes on the product side were kept at a bare minimum. Though some age-old products were nearing the end of their life cycle, he tried to extend their life by cheeky innovations. One example is the company's widely popular Lal Dant Manjan. It was growing well and keeping the company in good health. Still, Duggal realised that it won't last forever. Its transformation from tooth powder to toothpaste is something he takes immense pride in. "You had toothpastes with more and more offerings coming at lower price points. So, consumer preference was obviously going to change," he says. "So, I got the brand team working on a toothpaste version of Lal Dant Manjan. We were tempted to launch something traditional like a mint-flavoured toothpaste, but we decided to be brave and stayed true to the core DNA of Lal Dant Manjan, while giving the product a more contemporary look. We created the red toothpaste. It had strong cues of the red powder in terms of spiciness, colour and appeal, but in a format that was modern and contemporary. It is the fastest-growing toothpaste brand in the country and has been one of our greatest successes." Duggal was also instrumental in the split of Dabur's pharmaceutical and consumer businesses. Dabur Pharma was sold to German firm Fresenius' Singapore arm in 2008. "The demerger was logical. Both the divisions were doing well but never sat well with each other. Our investors wanted either of the two - a pure-play pharma company or a consumer company, but not a hybrid," says Duggal. "It confused investors. Even though the consumer business was dominant, the pharma business was also big and taking up a lot of investments. Our recommendation for demerger to the board created value and unlocked the potential of both the entities." After the demerger and helping Dabur get back its position in the domestic market, Duggal turned his attention to acquiring scale through acquisitions and an aggressive overseas foray. Till then, Dabur had a small presence outside India that was handled by franchise partners in the Middle East. The time had come to take the Dabur story global. "The first thing I did was to end the franchise system and create a separate subsidiary for international operations with its hub in Dubai. This laid the platform for overseas growth for many years," says Duggal. "I did the same thing that I had done in India - changed people. I sent people who had worked under me, who were committed, passionate and skillful, to run the international business in Dubai. But we did not replicate the Indian template. We localised supply as we realised that the Indian supply chain will not be able to service the overseas market adequately. We built plants in the UAE, Egypt, Nepal, Sri Lanka, Bangladesh and Nigeria, and were far ahead of the competition. This gave the local management a lot of room to innovate and sync products in line with local tastes and customs." The results have been outstanding. The global business now accounts for a third of the company's revenues and, according to Duggal, generates huge profits. After the first phase of growth overseas, Dabur started growing inorganically, just like it had done in India with the acquisition of Balsara's hygiene and home products businesses in 2005. 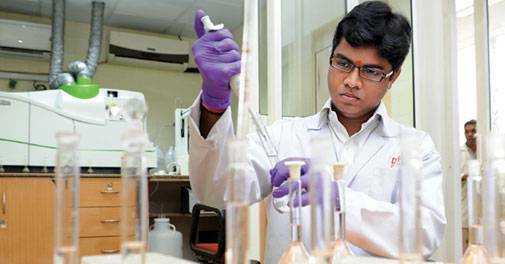 Acquires 100 per cent equity in Namaste Lab of the US for $100 million. "We did two acquisitions that worked well. International operations are now poised to take the next step forward, perhaps by way of acquisitive growth. They will remain an integral part of our structure," he says. The amount of work and the intense travelling it entails means he gets very little time for leisure. He cannot remember the last time he went on a vacation. "My wife works in the government at a senior position. Our work takes precedence over leisure, especially with regards to vacations. Twice or thrice a year, we try to grab weekend overseas vacations just to get away from it all," says the Sushi-loving CEO, who listens to 60s Rock n' Roll and Sufi music to relax. Duggal, because of the growth of Dabur under him, is a darling with the investor community and financial analysts. "I would say he is an ideal candidate to lead a company from an investor's point of view. He is transparent, accessible and hands-on," says Abneesh Roy, Associate Director, Edelweiss Capital. "He spots trends early and was one of the first to foresee the slowdown in rural demand. The impact of his leadership is visible in the company's growth, be it in revenues, profits or market share." At 58, he is now perhaps at the last stage of his over two-decade-long journey at Dabur. While he is overseeing succession planning, slated to play out from 2018, he is also working on making up for the loss of leisure in his working years. A return to his hometown Chandigarh, a city he loves and always wanted to settle down in, is also not ruled out. "There will be time for leisure when I retire two-three years down the line. The middle of 2018 is when I would take up a very different role in the company, maybe not retire in the strict sense of the term, but become a mentor or a strategist, obviously not in an operational capacity," he says. "Succession planning is already in place, so that the transition is smooth." Having laid a template for how best to professionalise a promoter-led company, Duggal will leave his successor big shoes to be filled.